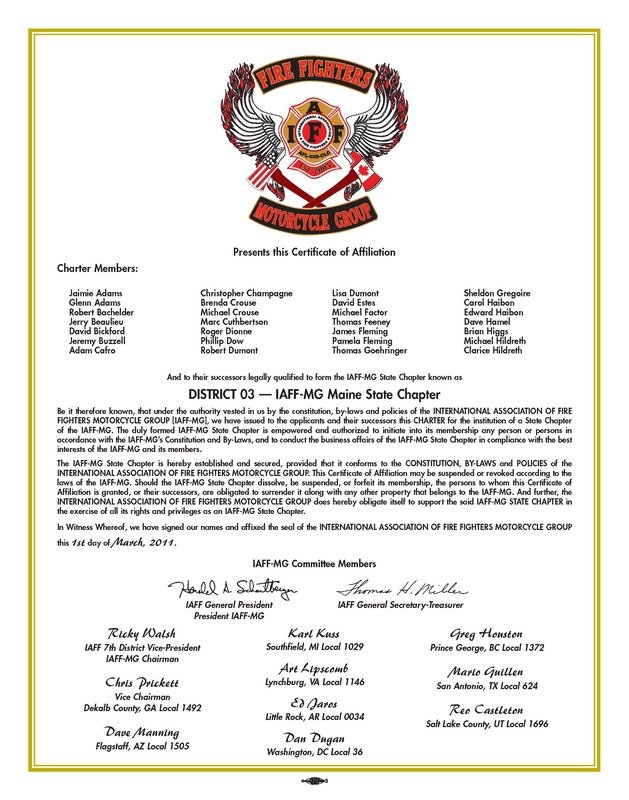 In 2013, the IAFF-MG issued the PFFM a State IAFF-MG Charter for Maine's IAFF/IAFF-MG Members. 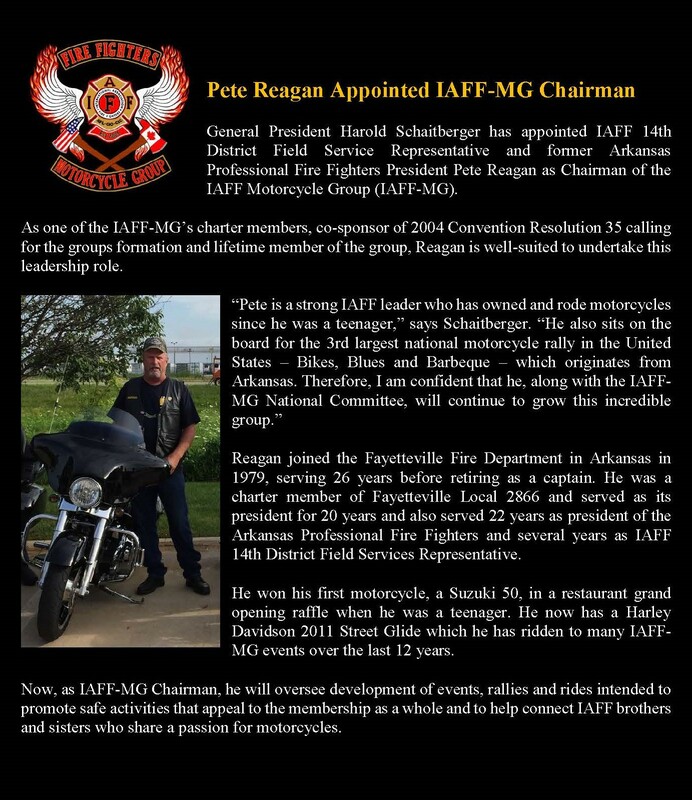 The IAFF-MG is your Union's Motorcycle Group. If you Ride you should ride with your IAFF Sisters & Brothers. Join the IAFF-MG Today!